Join us for an exploration of how Hadoop Native SQL unleashes the power of Apache™ Hadoop® for business insights and predictive analytics. 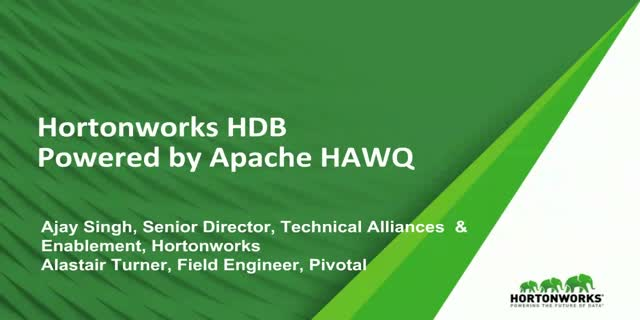 We will demonstrate how Pivotal HDB, powered by Apache HAWQ (incubating) allows near-real-time execution of ad-hoc queries at scale. Complete analytics tasks faster – in seconds or minutes, not hours or days, using in-database analytics from Apache MAD lib (incubating).